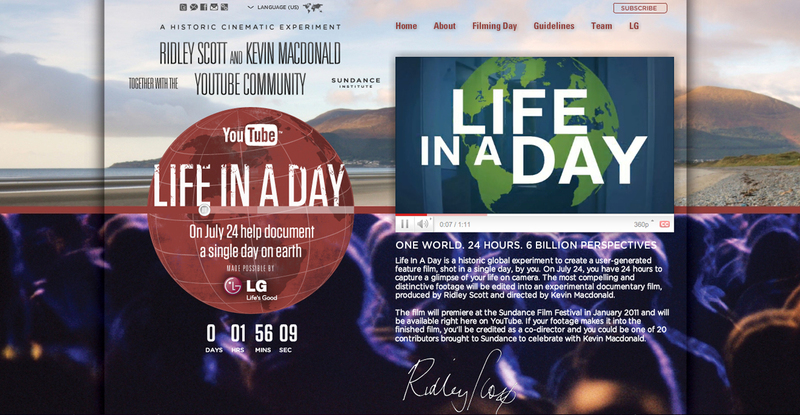 YouTube is calling on film makers to collaborate in creating the world’s largest user-generated film. The Life In A Day project challenges YouTube members to capture a moment of their lives on film, shot on July 24th 2010. The most compelling, exciting, unusual and distinctive footage submitted will be edited into a documentary helmed by director Kevin Macdonald (Touching the Void and The Last King of Scotland) and executive producer by Ridley Scott. The finished product will premiere at the Sundance Festival in 2011.